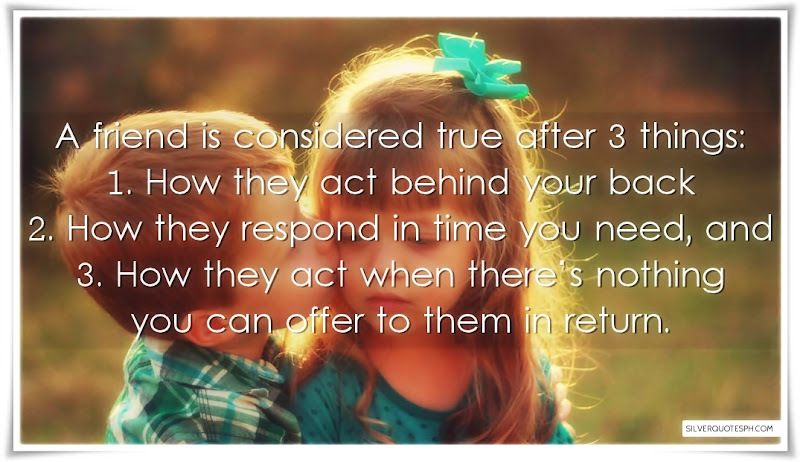 A friend is considered true after 3 things: 1. How they act behind your back 2. How they respond in time you need, and 3. How they act when there’s nothing you can offer to them in return.